Actor Paul Walker lost his life in a Porsche Carrera GT. This article is about the accident and the car. I can safely assume you are all aware of what happened. Riding in a Porsche Carrera GT, actor Paul Walker (Fast&Furios) lost his life in an accident. The car was driven by Walker's friend Roger Rodas. Allegedly, there was another car involved in the events, suggesting the two vehicles were engaged in road racing. A security camera has captured the impact, and the recording does show another vehicle arriving on the scene right after the Porsche crashed. We are not going to delve into the mysticism of how both James Dean and Paul Walker died in a Porsche, we are not going to discuss who was a better actor, and not going to bash or praise the F&F movies. Not here. This article is about the accident and the car. So, first let's take a look at the Porsche Carrera GT. It is your proverbial supercar, built in only 1270 copies. Even though these were sold at €450 000 apiece the project was probably a financial disaster for Porsche as sales certainly did not cover engineering and manufacturing costs. Refusing to settle for anything readily available Porsche decided to develop a brand new engine for the car, and this car only. 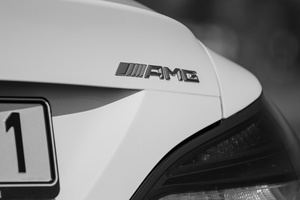 It was a V10 with a 68° bank angle, rated at 612PS, with a maximum torque of 590 Nm. Forty valves, variable valve timing, titanium conrods, whatnot. Official figures stated a 0-100 kph time of 3.9 seconds even though the rear-wheel drive car had none of today's fancy stuff. Instead of a double clutch gearbox it used a simple manual 'box - although 'simple' is relative since both clutch disks were made of carbon ceramic compound, just like the brakes. All of this is irrelevant though because the Carrera GT can handle more than a burst of acceleration. It reaches 200 kph in ten seconds - regular drivers consider a car sporty if it can do 100 kph in that much time. Official top speed is 330 kph, but on the Vmax-test of German Auto Motor und Sport it reached 334 kph, matched only by the other great supercar of the era, the Mercedes SLR McLaren. One special feature of the Carrera GT is the drivetrain layout. It is a mid-engine car. Legendary Posche 911 has its engine behind the rear wheel, i.e. a rear-engine configuration. This has its drawbacks, some of which (apart from the immense power output) may be familiar to Eastern European or British readers who have driven a rear-engine Skoda. A mid-engine layout amends the pitfalls of a rear engine: because the powerplant is located just fore of the rear wheels, its weight is better distributed over the two axles. This layout is used in practically all Formula cars, including F1, and there with good reason. 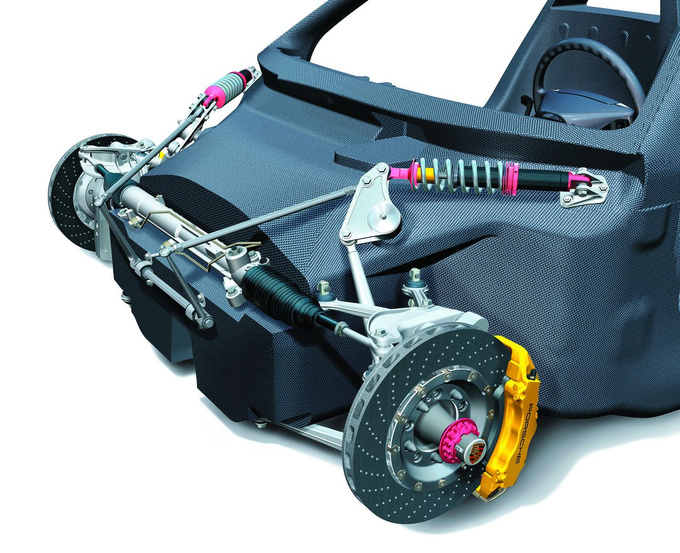 For racing cars it is not just weight distribution that matters: heavier components should be located as close to the centre of gravity as possible to assist maneuverability. Take BMW street models for instance: many boast of an even 50:50 weight distribution yet they would be easily out-cornered by a mid-engine car of similar weight and engine power: the closer a mass is to the CoG, the easier it is to make it turn with you. Another story from the test archives of Auto Motor und Sport gives evidence of this: when performing the high speed evasive maneuvre (a simple task of jerking the steering wheel to one side and then returning to the original lane almost immediately), the Carrera GT remained rock solid up to 147 kph - in comparison, cars reaching 130 kph here are considered extremely sporty, with regular cars usually failing around 100-120 kph. The other thing about the Carrera GT is the weight – better to say the lack of it. The car is built of carbon fibre reinforced plastic (CFRP). Engineers also used loads of magnesium and aluminium but very little steel (I'll come back to that). A car with a 600+ PS V10 mid-engine and a removable (i.e. non-load bearing) roof panel is incredibly light at 1470 kg (kerb weight). Compare that with other sports cars: a 560 PS BMW M6 weighs about 1900 kg, while the aforementioned Mercedes SLR McLaren weighs almost 300 kg more than the Carrera Gt. 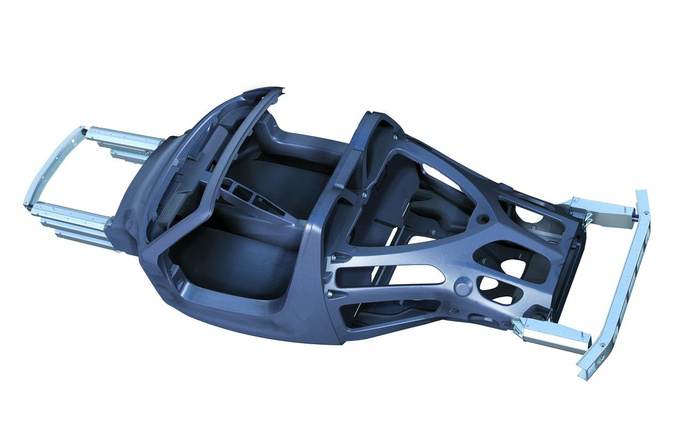 CFRP is very sturdy but it is not indestructible. 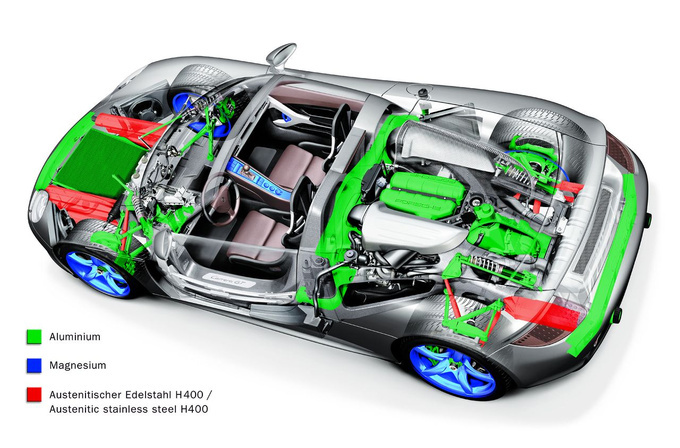 While metal-bodied cars use the metal to absorb energy while crushing, carbon fibre structures do not deform. They hold out, and when they reach their tensile threshold, they break. Because of this the Carrera GT sports front and rear crumble (a.k.a. programmed deformation) zones constructed of steel. These are necessary because in a fierce crash you are not interested in keeping the car intact - you want your passengers to survive. Humans are fragile: you can lock them inside robust passenger cells, restrain them with seatbelts and insulate with airbags, but still there is only so much acceleration the human body can take. Go beyond that limit and the internal organs (heart, brain etc) sustain damages, blood vessels perforate. This can cause immediate death. And carbon fibre is less than ideal for this purpose: unless a collision occurs just in the right direction (front or rear), there is no crumble zone to help decelerate the car and its passengers. Early Porsche 911 vehicles had a tendency to catch on fire, simply because the fuel tank was up front, near the foot of the driver, and it was susceptible to damage in a more severe accident. But the Carrera GT was different. In an effort to enhance concentration of mass the fuel tank is located between the rear firewall and the engine. The 92-litre tank is positioned vertically, which makes it very compact longitudinally. The advantage is that, as fuel is used up during the drive, weight distribution remains more or less the same. In this case our passengers would have been better off riding in a Porsche 911 because, as the car hit first a pole, then a tree exactly at its mid-section, there was a strong possibility the tank leaked and the fuel caught fire due to the heat from the engine. Yet this has nothing to do with the placement of the tank. Formula 1 cars also have it right between the driver and the engine - albeit that is a special FIA approved safety racing tank which won't leak even if the outer shell is damaged. Carrera GT, however, had a regular tank because it is not a racing car, although technologically speaking it is darn near one. Mind you, engineers cushioned the tank with plenty of CFRP. There is another theory linking the fire to power steering fluid which was seen spilt on the tarmac near the accident site. Some say this oil could have caught fire, while the loss of servo power could have been the reason why the driver lost control of the car. 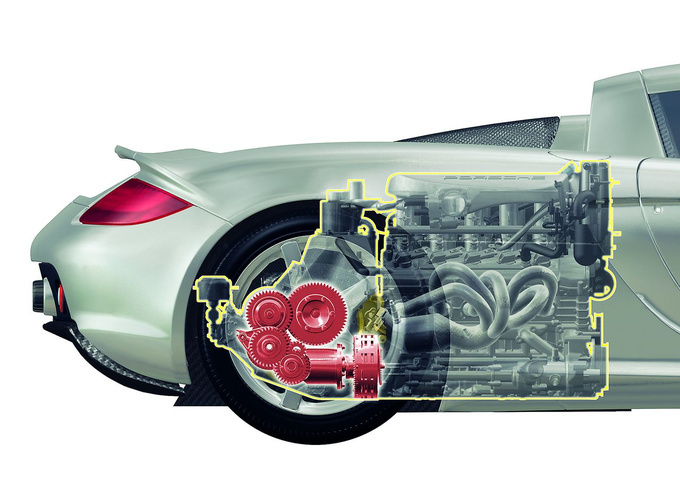 The Carrera GT only has 1.1 litres of servo fluid in the power steering unit. It is flammable but not quite as easily as petrol, and a possibly leak would not explain the rapid and violent outburst of fire. Also, observing the wreckage you will note that the nose still has paint on it, while the most serious damage was sustained near the engine bay. 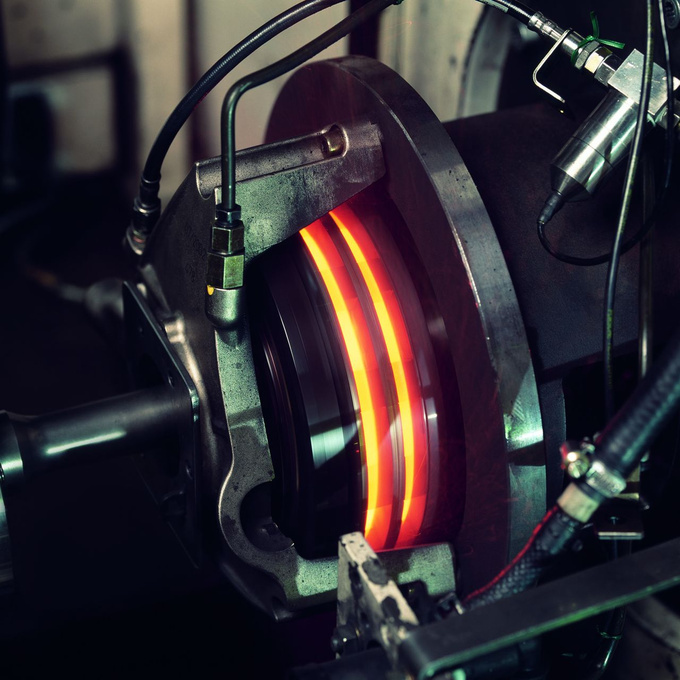 The loss of servo power does not render a car out of control; manufacturers are required to make sure their vehicles maintain driveability in such cases - even buses and coaches are tested for this kind of malfunction. Of course as the car loses servo power the steering force increases significantly, in no small part because of the wide tyres the Carrera GT rolls on. This, however, does not mean a loss of control. Also, if that happens, you'd be more likely to have a head-on crash, rather than a side impact. There are websites which specialise in supercar accidents and fires. Carrera GT is not a frequent model on these pages and limited production numbers are not the main reason for that. Other mid-engine cars - Ferraris, Lamborghinis - often suffer engine bay fires, but those are more likely to be caused by excessive heat from the engine. These cars are prone to start burning even waiting at the red light. The car hit the barrier laterally. Porsche was forced to pay out a significant sum in compensation because the car lacked a sophisticated stability system. Carrera GT is a different beast. Browsing the archives of WreckedExotics.com you will find that they don't usually catch on fire, but when they do they do at the race track. Most drivers have survived the crashes except for a single, albeit nasty, case. Driving at a race track in Fontana, CA, the driver lost control of his car on a straight section of the track, having been forced to avoid a slower car exiting from the pit lane. 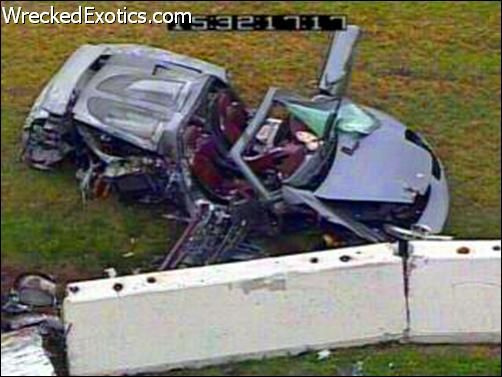 The Porsche hit the concrete barrier sidewise, killing both passengers. At a high speed like this it would be far-fetched to claim they could have survived in a head-on collision because you simply cannot design a car to cope with such impact speeds. But the picture reveals the Porsche remained relatively intact structurally, and there was no fire whatsoever. With such high power, high tech, high prestige vehicles you invariably need to consider another non-technical aspect. The affluent can afford it, so they buy it, drive it, crash it and kill themselves. Worse yet, sometimes they also kill others. The whole thing makes it to the evening news - just like this time. And instead of enhancing the image of the automaker the car ends up damaging it, leaving people wonder how such an expensive car can be so unsafe. This, of course, hurts the brand, despite the positive efforts of the engineers. Which is why in typical supercar fashion, all Carrera GT customers received proper driving training with the car. Except Rodas had bought his Porsche second hand, so he didn't take it. And that's a mistake because mid-engine cars can be mean. No, strike that. Their threshold is set very high so it takes experience to handle them. Once you cross that threshold there are no reserves. There is no way out because the speed is too high. The great Walter Röhrl also pointed this out, in German, below. What Top Gear failed to mention is that the Carrera GT did not have the full feature stability control system Porsche calls PSM (Porsche Stability Management) and installs in its other vehicles. All the Carrera GT had was a bunch of simpler functions: traction control and electronically locking LSD, both of which could be deactivated. And because they work by slowing the car down people usually deactivate them for timed runs, such as the Top Gear lap. It is possible Rodas also chose to switch the whole system off. Once you do that, a dusty patch of road, a healthy push on the accelerator or even lifting off can send a mid-engine car into a spin. And once the rear tires lose traction you lose control of your car. Braking only makes things worse. Some claim it could not have been a human error because Rodas was an amateur racing driver. This is not true. Even pros can make mistakes, and as for being an amateur driver, anyone with enough cash to buy the car and the fireproof racing overalls can become one. Getting you license is proof of your familiarity with the regulations and you good health, not your driving talents. Rodas raced the Pirelli World Challenge, driving a Ford Mustang Boss 302 S. His results were not exceptional. At the time of the accident he was number 13 in the standings. Fire usually diminishes the chances of ever finding out what really happened in an accident but there are some uncontested facts here. Second, while the recording from the surveillance camera does not show much, it does show that the Porsche impacted at an extreme speed and that the fuel ignited within a second. If nothing else, passengers are likely to sustain a severe shock or loss of consciousness in such an impact, effectively making them unable to escape the burning vehicle. We are not saying the Carrera GT is not difficult to drive. There could have been some kind of mechanical failure at play. But one thing is certain: the consequences of the crash were so dire because the Porsche was travelling at high speed. And streets are not made for those kinds of speeds. Race tracks are constructed in a way to lessen the probability of an impact. The concrete crash zone, the gravel pit and the tyre wall all serve the purpose of alleviating the consequences of a crash. That is why there are no trees or poles in crash zones. 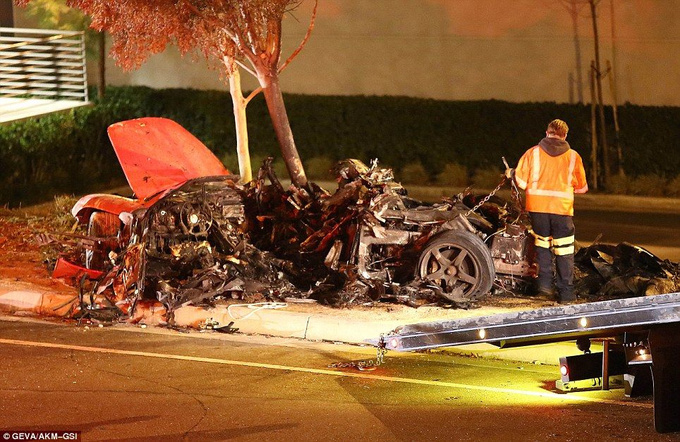 But in real world circumstances it does not take much to blow your luck, especially if you drive fast - this is the lesson we should all learn from this accident, regardless of the fact that one of the victims was the star of movies about illegal street racing.